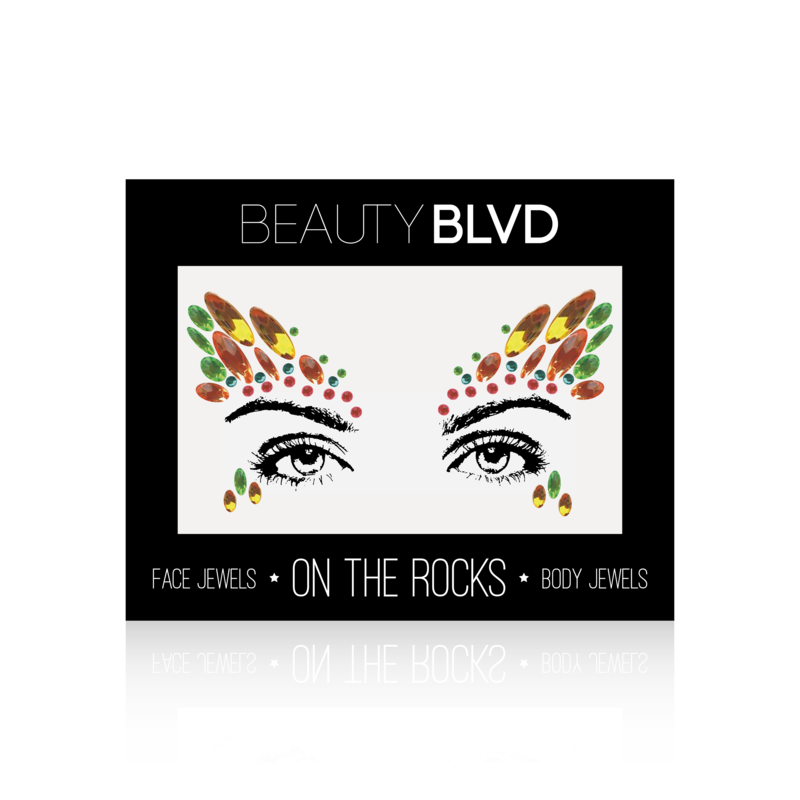 On The Rocks body and face jewel collection are safe for face and body. Easy to apply, these gorgeous light reflecting gems allow you to create an enchanting look all of your own. Team up with Stardust hair and body glitters to help create your perfect look. For the ultimate statement, finish your look with the long lasting co-ordinating Glitter Lips range. The all-in-one jewel pieces have easy peel off and are ready to apply. For best results, carefully peel off jewel and apply to skin. Hold in place for a few seconds for better application.